Our pick of the best architecture and design opportunities on Dezeen Jobs this week include jobs with Apple in California and Foster + Partners in London. Apple is seeking an industrial designer with 3D software skills to join its team in Cupertino, California. 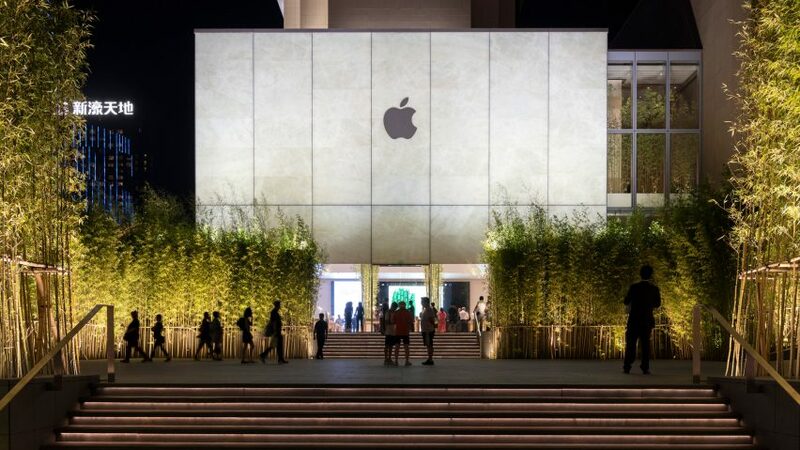 The technology brand's latest Apple store, in the Chinese city of Macau, was designed by Foster + Partners and features translucent stone walls and bamboo shoots. Foster + Partners recently unveiled its plans to turn a 1970s building in Madrid into offices with a diamond-patterned exterior and a rooftop terrace. The firm's London studio has an opportunity for an interior designer to join its team. Chinese studio MAD is looking for an intermediate or senior level interior designer to join its Beijing practice and work on a number of large-scale projects. The firm's past projects include a cluster of housing towers modelled on mountains in China's Anhui province. The new central London headquarters of fashion brand COS was renovated by local studio ORMS and features a facade of iridescent green tiles. There is now an opportunity for a window designer to join the firm in London and aid with the development of its upcoming trends. NC Design & Architecture is offering an interior design internship in Hong Kong. The firm recently designed a Hong Kong speakeasy featuring a sculptural cream-coloured ceiling and deep-blue leather seating. Hawkins\Brown has an opportunity for Part-I or Part-II architectural assistants to join its practice in Manchester. The architecture firm recently completed a swimming pool for a school in Surrey, England, from engineered timber.